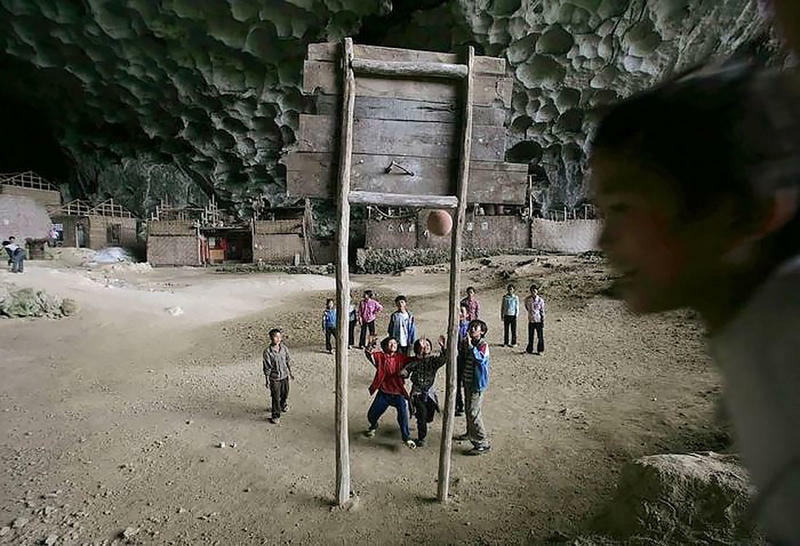 A village in Guizhou Province, China, is regarded to be the country’s only inhabited, year-round settlement that is located in a naturally occurring cave. 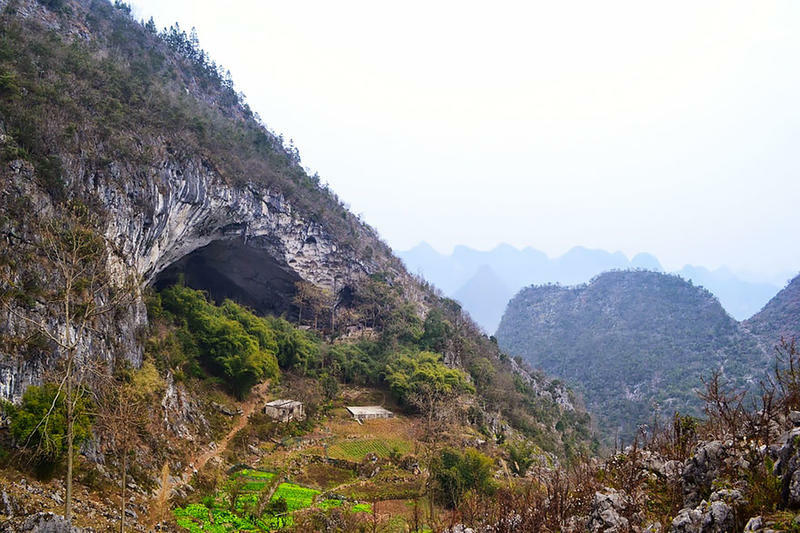 It is called Zhongdong village which is found in a cave at 1800 meters (almost 6000 ft) above sea level and accessible after a one hour hike. Elders of the village have been trying to persuade the local government to construct them a road that will connect the cave to existing infrastructure in order to help increase the livelihoods of villagers. Although Zhongdong has access to television and the occasional newspaper, still the village remains generally unattached from the outside world. In this cave is a village with about 100 people. They even have a basketball court. 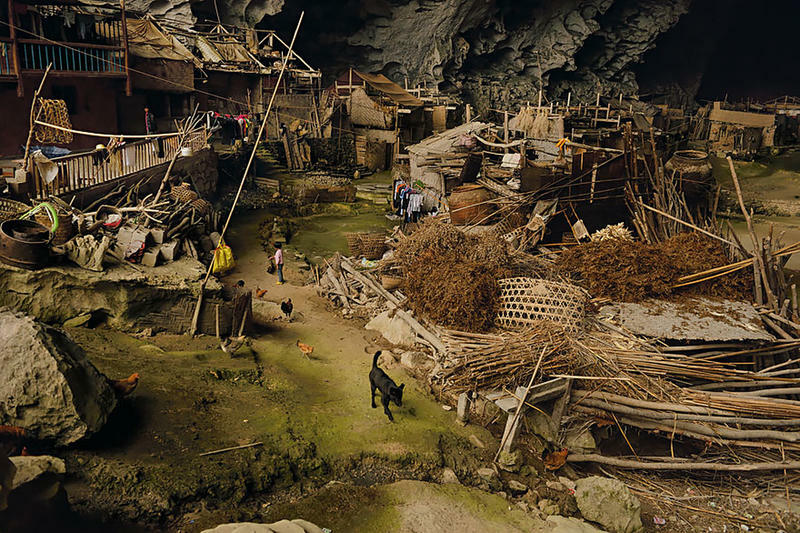 It is said to be the last year-round settlement within this naturally occurring cave in China. At 1800 meters above sea level, the cave can be reached with a one hour hike. 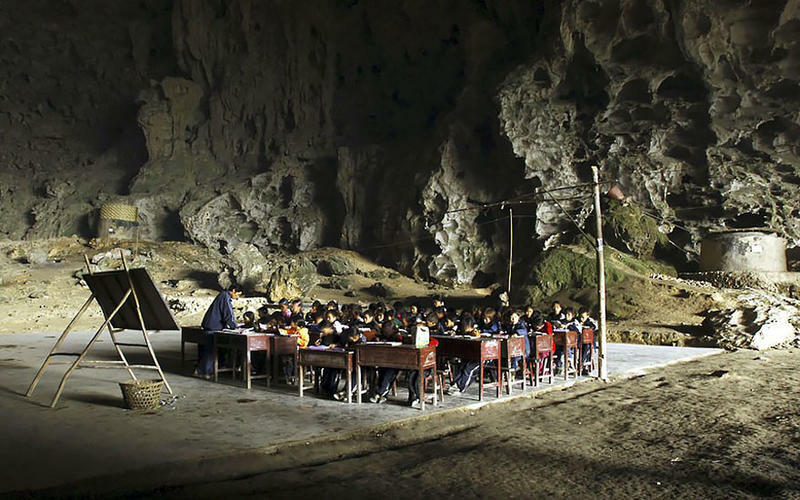 They even had a school until China’s government closed it in 2008 saying that “China is not a society of cavemen”. Today, the children must trek by foot for about two hours every morning and evening just to attend another school. Weekly, they will buy necessities in the market 15 km away, which they travel on foot. UPDATE: Due to growing media attention, the site became a tourist attraction and now has a road that links it to the outside world. As time went by, some locals relocated to other areas as requested by the government, but the majority stayed. Also, the children studying in a different area now were sent away and just visit their families on weekends or went home during holiday seasons.